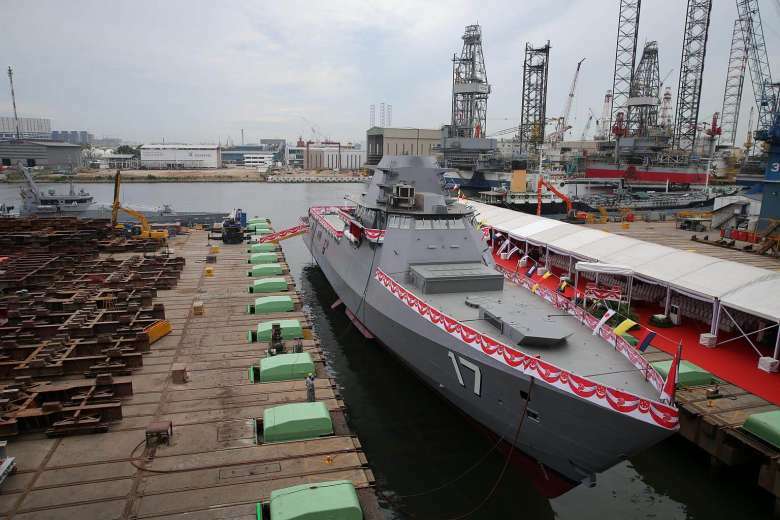 SINGAPORE, -- Shipbuilder ST Marine has laid down the fifth Littoral Mission Vessel (LMV) on order for the Republic of Singapore Navy (RSN). The 1,250-tonne platform, which will be the future RSS Indomitable , was laid down on 11 November at the shipyard's facilities in Jurong. 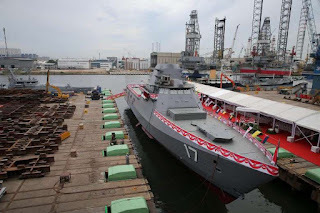 Indomitable is part of a contract for eight LMVs acquired by the Singapore government to replace the RSN's 11 Fearless-class patrol boats, a number of which have been in service for more than 20 years. First-of-class Independence was launched in July 2015, while third-of-class Unity was launched in October 2016. The fourth vessel, Justice , is currently under construction at ST Marine's facilities in Benoi, having been laid down in May 2016. The third Littoral Mission Vessel on order for the Republic of Singapore Navy, Unity, at its launch ceremony in October 2016.